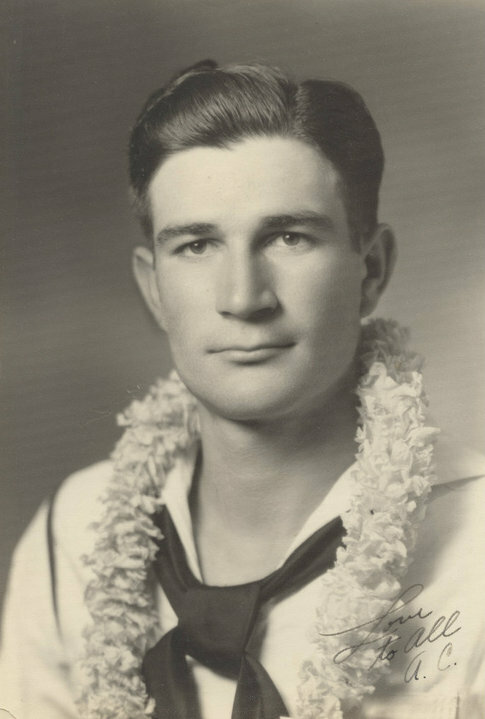 Sunday morning, December 7th, 1941 began like so many others on the beautiful island of Oahu. After a busy week of patrols and training exercises, U.S.S. Raleigh docked on the northwest side of Ford Island. Officers and crew not on duty had gone ashore or were planning rest and relaxation on the beach. At 0755, my Dad, A.C. Weatherly, stared at himself in the mirror while shaving, a final step before going ashore himself. His expression changed from calm to alarm when a torpedo dropped from a Japanese plane slammed amidships on the port side. The ships klaxon sounded announcing General Quarters, “General quarters, general quarters. All hands man your battle stations.” This wasn’t a drill. Within five minutes, Raleigh anti-aircraft batteries opened fire with three-inch, 1-inch, and .50 caliber guns. Raleigh gunners recorded several downed enemy aircraft. 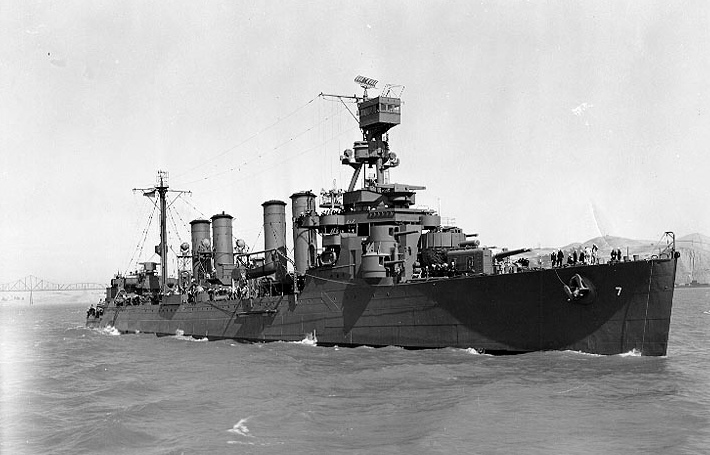 All crewmen not on damage control parties or manning the guns were ordered to assist the gunners by passing ammunition. Click here for the complete post on Venturegalleries. Thanks for reminding us of what a lifechanging day this was, especially for men like your father. 🙂 Great post Rich! Rich, as usual your blog was timely and informative. I never tire of hearing great WW II stories and you just added another to me list. Thanks and keep ’em coming. Hope to see you soon. Thanks Jim! I know this subject is close to your heart. There are lessons to be learned from the events of that day. Hopefully we learn from the lessons of the past. Great post Rich. After all this time, the event still feels fresh. My intent was to make it real. Your saying it feels fresh, means it should serve its purpose to those who need to be reminded.